Mr. Green – Monday Slot Missions! Complete the missions min. 1x to register! Complete missions to collect a share of the cash prize pool! Energize your Monday for a great start to the new gaming week. 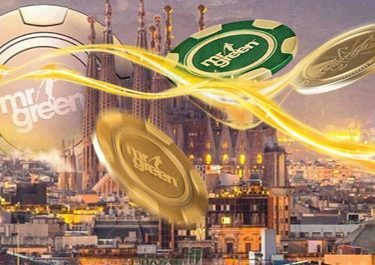 Mr. Green is looking for the crème de la crème, the best, the greatest and fiercest slot players out there. In-game missions must be completed across three different slot games, but here comes the real challenge, all objectives have to be completed in as few spins as possible. And, only the top 15 players will be rewarded with cold-hard cash. Can you be the fastest spinner? Take on the challenge in Mr. Green’s Mission Tournament and compete against your fellow players for a share of the cash prize pool. Simply complete three missions on three thrilling slots in the fewest possible spins to race into the TOP50 to become a winner. No minimum bet size is required to qualify for this tournament but only cash bets are eligible. A live leader board is available in the game client together with all tournament details and the assigned player ID. Players can try to improve their score after at least 25 spins, however, the highest completed score will always be kept. Prizes are all in cash, no wagering requirements and will be paid out within 72 hours after the tournament ended. Launched in 2008, this fine online establishment is operated by Mr. Green Ltd. under MGA Malta and UKGC licenses. They offer Casino, Live Casino and Sportsbook on desktop, mobile, tablet as well as proprietary Apps. Add to that a huge choice of games from only the best providers such as Netent, Microgaming, 2BY2 Gaming, Betsoft, Big Time Gaming, Core Gaming, Elk Studios, Genesis Gaming, IGT, JustForTheWin, Leander Games, Lightning Box, Merkur, NextGen Gaming, NYX Interactive, Odobo, Quickspin, Play’n GO, Playtech, Playson, Rabcat, Scientific Games, Thunderkick, WMS and Yggdrasil Gaming. The Live Casino tables are powered by Evolution Gaming, Extreme Live Gaming and Netent Live. 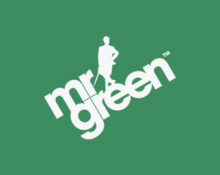 Mr Green – Finding Mr Green | Spain! 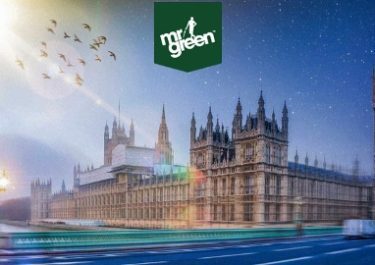 Mr Green – Finding Mr Green | UK! Mr Green – Free Spins on Golden Grimoire!